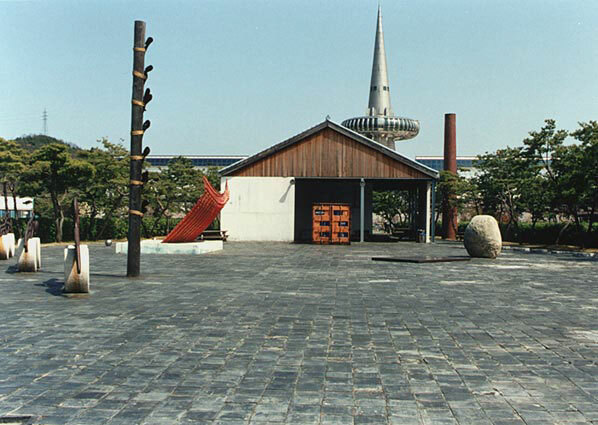 (one of four images) On April 4, 1998, en route to Melbourne, JS made a stopover in Korea to see what had become of the Taejon chimney. The former expo-site had been transformed into a "science park" with the motto "Science is my Friend". It seemed to be frequented mainly by wedding-couples in search of backdrops for their photographs.